Most soft collars allow you to charge the FitBark without removing it from the collar itself. 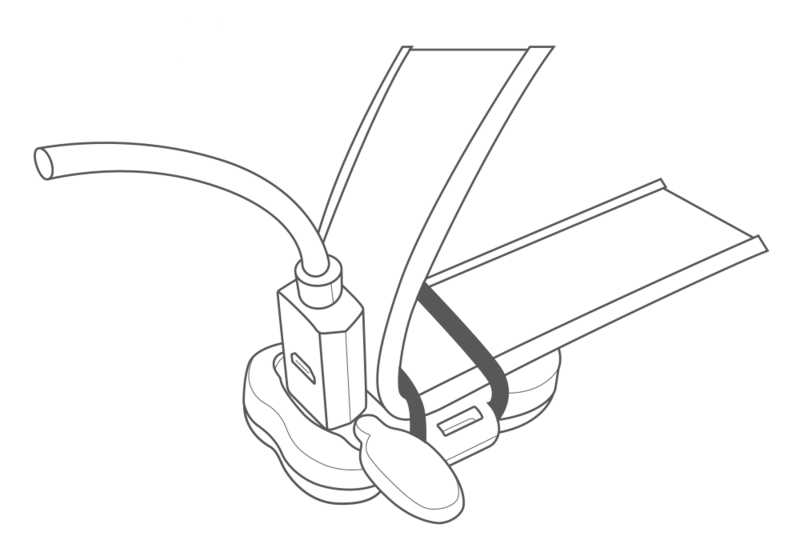 Just bend the collar gently, remove the cap at the back of the unit, insert the micro USB connector provided into the unit, and plug the other end into a USB power outlet. When you power it, your FitBark will go in pairing mode (LED flashing “knight rider” style) for about 30 seconds, then the LED will become solid to indicate that the battery is charging. If your battery was depleted, the LED will disappear after about 90 minutes to indicate that the battery is now completely charged.